Second day of latest phase of action in rail safety disputes remains solid and united. 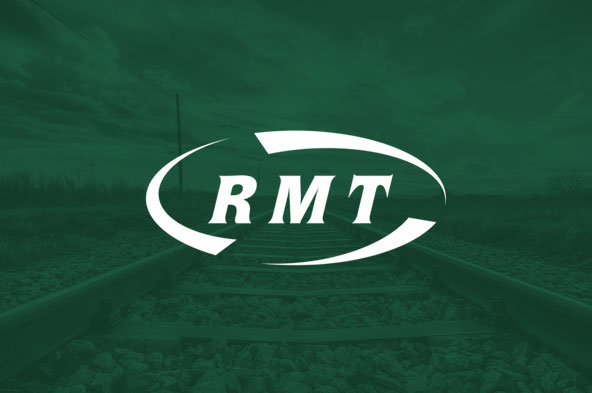 "RMT members involved in this second day in the latest phase of action on Greater Anglia, Southern and South Western Railway remain solid and united this morning in separate disputes which are about putting safety, security and access to transport services before the profiteering of these rip-off private rail companies. "The union salutes the members who are standing firm this morning for a safe and accessible railway for all. Our members know what is at stake and are not prepared to abandon the disabled, the vulnerable and women travelling alone to their fate on a railway run solely for profit. Social media shows that public support is flooding in as our communities choose to stand by their guards against the financially and politically motivated drive to throw safety-critical staff off our trains. “The public are telling us that they are disgusted that this minority Government are prepared to sit back and cheer on overseas operators who are robbing British passengers blind while sacrificing basic safety standards in order to subsidise transport services in Paris, Amsterdam and Hong Kong‎. “There is growing evidence that managers are being paid substantial bonuses to act as bogus guards to try and keep services running regardless of the safety rule book and the threat to public security. If money and effort can be put into shuttling fake guards onto our trains why can’t the same energy and resources be dedicated to retaining the real, experienced guards that the public want? "On behalf of RMT I repeat the demand that Theresa May and Chris Grayling call off the centrally imposed blockade on serious talks in these disputes and allow us to get on with genuine negotiations with their contractors."